Warner Bros. Interactive Entertainment has released half a dozen new screens for Rocksteady’s upcoming Batman: Arkham Knight. Arkham Knight is Rocksteady’s finale to its trilogy of Batman: Arkham games, and is coming to Xbox One and PlayStation 4 and Windows PC later this year. In Arkham Knight, Batman faces the ultimate threat against the city he is sworn to protect. The Scarecrow returns to unite an impressive roster of super villains, including Penguin, Two-Face and Harley Quinn, to destroy The Dark Knight forever. The game will introduce a uniquely-designed version of the Batmobile, which is drivable for the first time in the franchise. It also features an entirely new part of Gotham City, which will be much larger than area depicted in Arkham City. The streets will also be wider in order to accommodate the Batmobile. Arkham Knight will be the end of the Arkham storyline, said game director Sefton Hill. "We really want to go out in style." 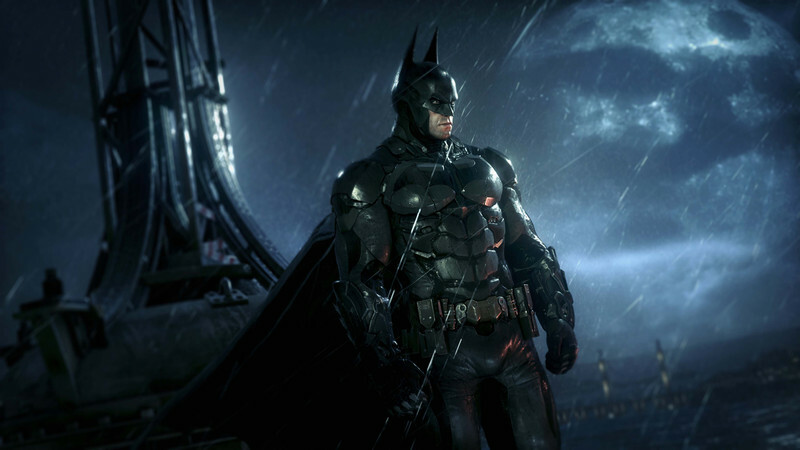 Fixing Batman: Arkham Knight PC "will take some time"